The Aras platform allows you to easily synchronize or migrate data from legacy databases. The Aras connectors provide automated synchronization of important PDM data including part/CAD data, assembly structures and documents. By eliminating manual synchronization the connectors ensure the integrity of your product data. The same reliable synchronization capability in the Aras connectors will also provide you with a controlled migration path into Aras Innovator®. Our connectors and processes will migrate your CAD files, documents and associated metadata with risk in mind. The critical differentiator that enables Aras to be this backbone is the Platform Modelling Engine and the Open Architecture which enables modelling of complex connected processes and data structures, as well as advanced interactions with other applications. Many companies have invested heavily in a PLM system but are still struggling with common challenges like data isolation, tedious change management processes etc. In short, they simply fail to fully utilize the benefits of having a PLM system. 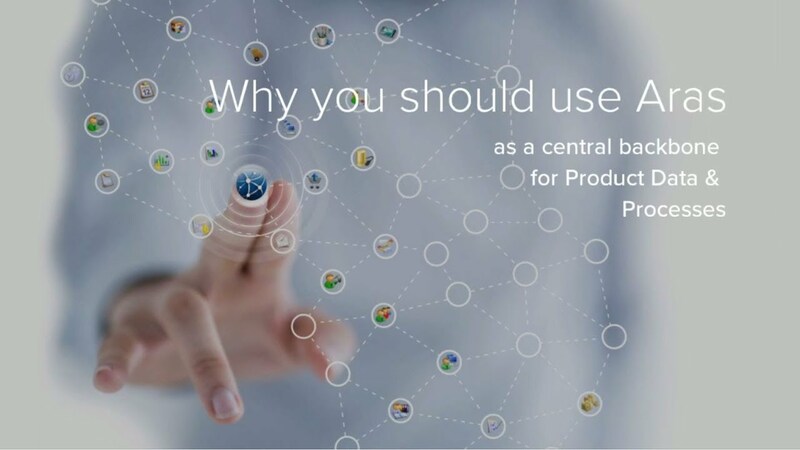 The concept behind the Backbone System is not to replace the PLM system you already have, but to complement and extent your current PDM/PLM solution. Instead of replacing your legacy system, the backbone connects your data across departments and maximizes the value and efficiency of your current application.